Putting the stand together is always a hazardous task especially when the pins keep bouncing off the wall. You can see who does all the hard work in this team of ours! I just take the pictures. Now we are ready for action. 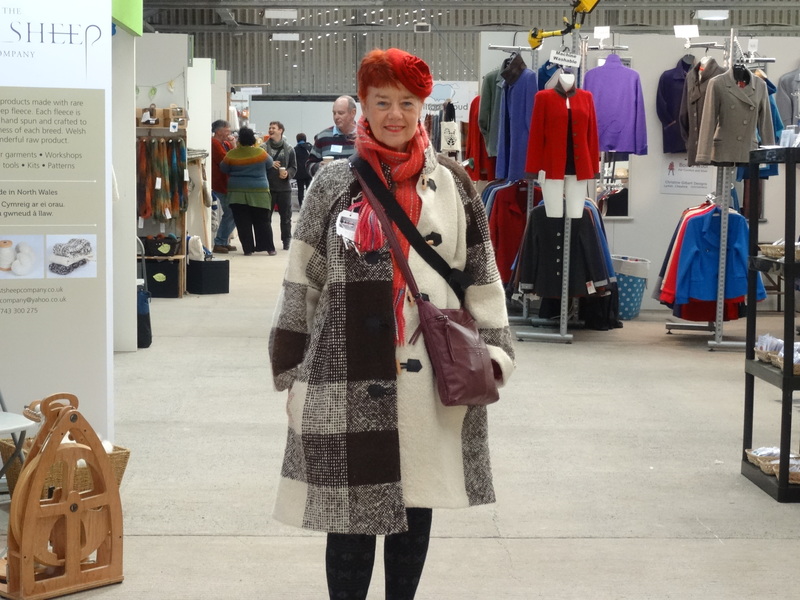 Some of you may have seen Sarah on the cat walk wearing this fabulous Jacobs wool coat and yes, it was made on the rigid heddle loom so anything is possible. 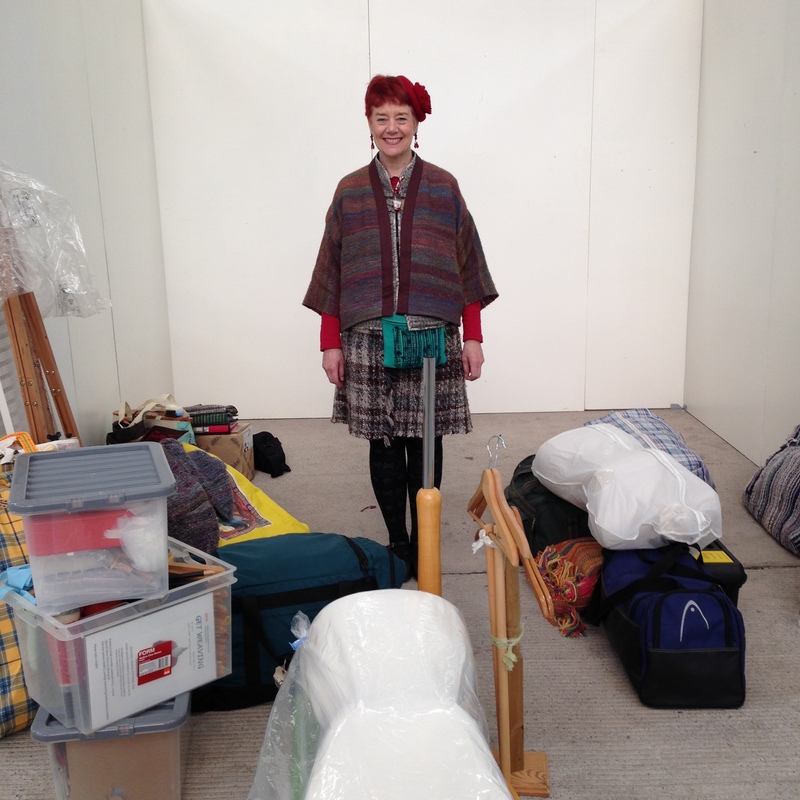 And then it all comes down and goes back in the boxes! Can’t quite believe it all went back in the car. 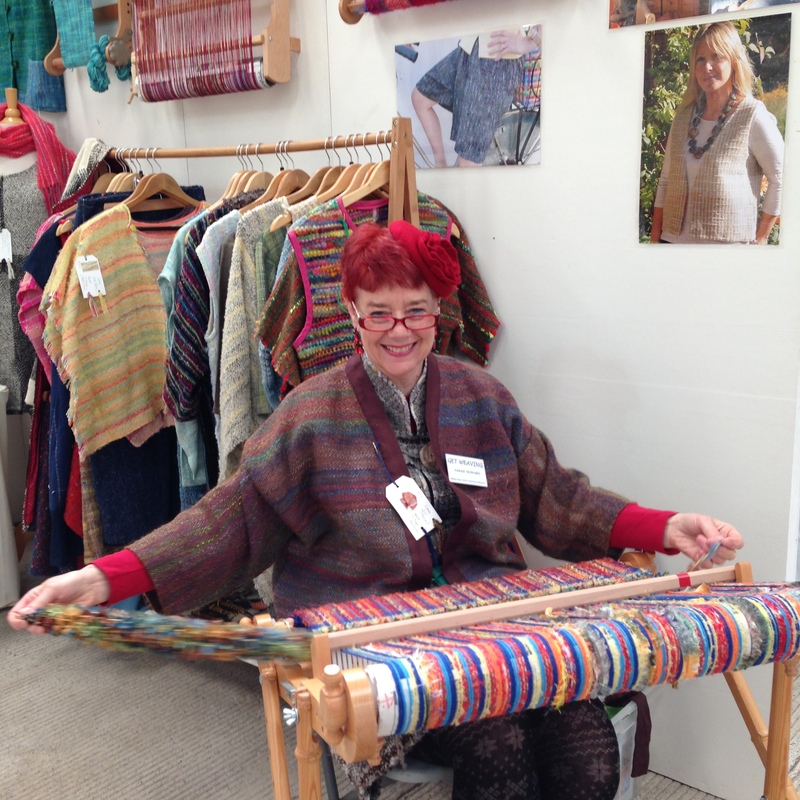 Our next adventure will be in Cumbria at WOOLFEST where we hope to catch up with you all again and have some new and exciting garments to wear and ideas to share with you. 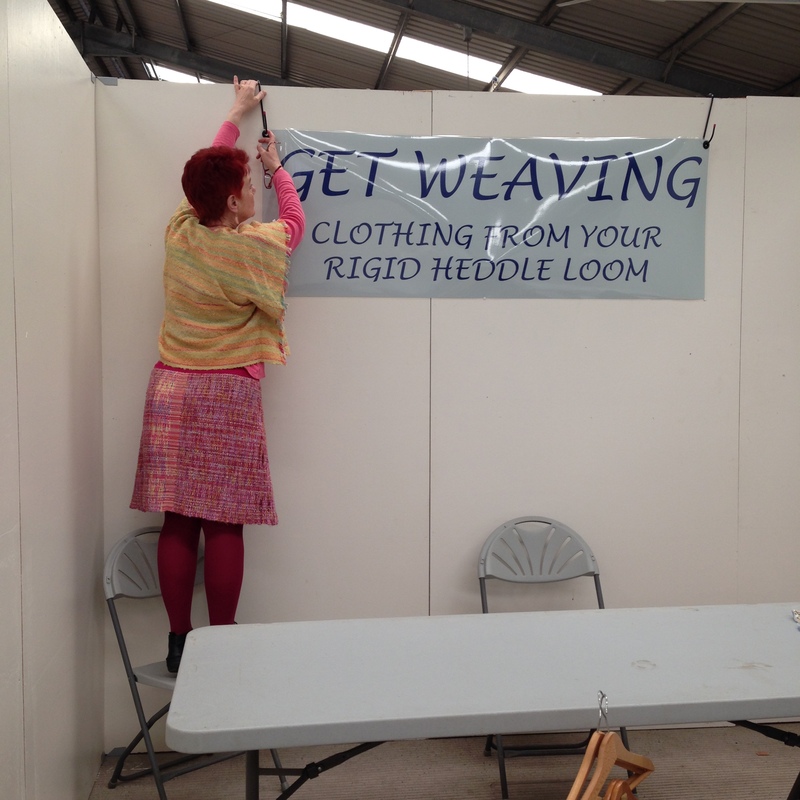 HAPPY WEAVING EVERYONE. 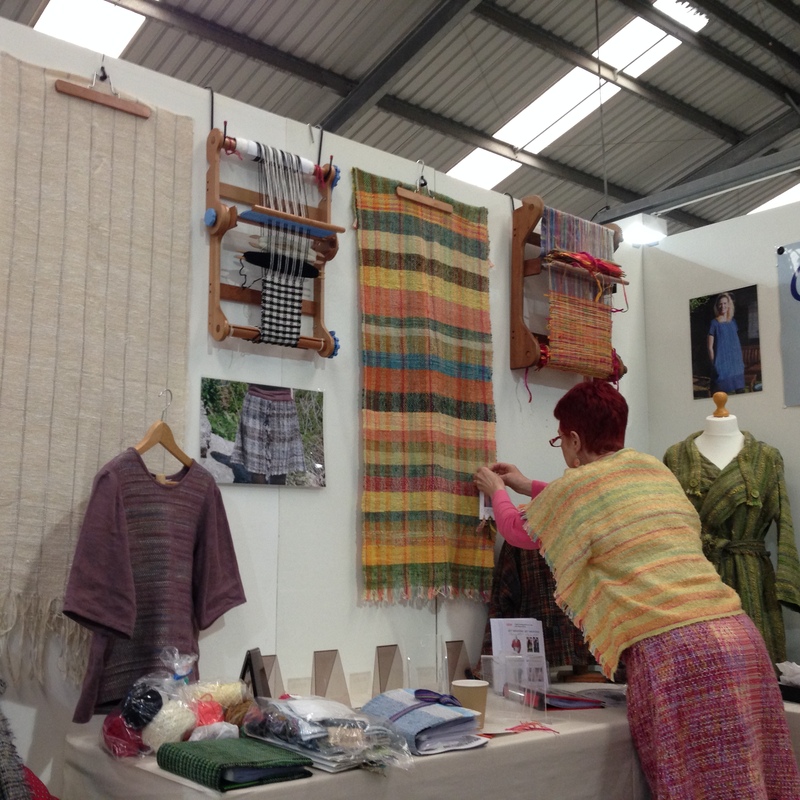 Your stand at Woolfest looks amazing, hope you had lots and lots of interest, regards Sue S.
I meant to say Wonderwool!! !